I am a singer who is Seeking Band members. Posted 4 days ago by Abhishek-59. 34 views. Wants to join a band in Bengaluru, Karnataka, India. 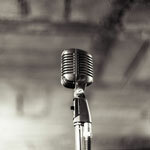 if there is anyone out there who are looking for a vocalist then I request you to drop me a text. I used to sing for my band back in IIT (BHU) Varanasi and wants to revive my passion again. My singing will mesmerise you fellows, I assure you. Available: Singer in Bengaluru, Karnataka, India. Posted 10 months ago by priya, 290 views. Posted 4 months ago by Preah, 160 views. Wanted: Saxophonist, Singer in Bengaluru, Karnataka, India. Posted 9 months ago by Ravip, 391 views. Available: Singer, Songwriter in Bengaluru, Karnataka, India. Posted 4 months ago by Rafson364, 143 views.